Microsoft’s ID@Xbox team returned to GDC for another year and brought with them some of the most promising new games coming to their console. Last year, I bemoaned the lack of effort towards securing exclusive titles for the Xbox One, as evidenced by their indie showing at GDC. But now Microsoft appears to be on the road to recovery, starting to cherry-pick several PC darlings as console exclusives. Cuphead, Ooblets, and the Ori series were the big Microsoft-allied indies of past years, so let’s take a look and see what software they have brought to the table in 2018. Welcome to GDC – this is ID@Xbox. 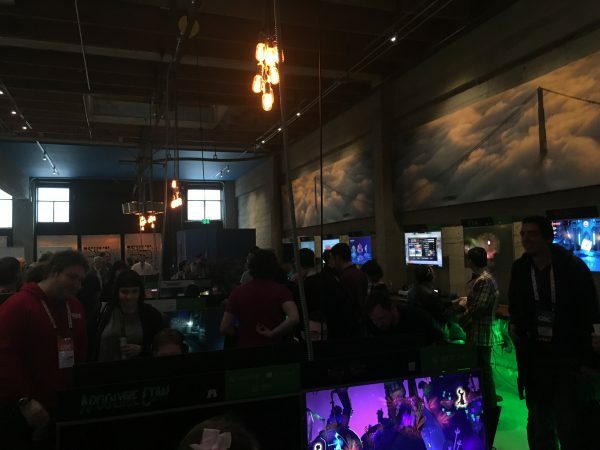 Folks gather around various demo stations during GDC’s ID @ Xbox event. Starting out, we have My Time at Portia, an ambitious game of many hats that recently launched on Steam Early Access and is now being scouted for an Xbox release. Portia features a stylized visual aesthetic inspired by European animation and some captivatingly peaceful environment design. The main problem with the game at this stage, however, seems to be the opposite of its many early access peers. Portia features such a large number of mechanics and gameplay systems, all fighting for the player’s attention, that I am honestly not sure what the focus of the game is meant to be. At some moments, it feels like a crafting game or Harvest Moon-style farming game, while the combat system’s depth and third-person 3D camera angle suggest a more action RPG approach. We will see how this one develops and if it can find its niche over time. Next up, there is the PC MMORPG Black Desert Online making its way to Microsoft’s console. The push to get more computer MMOs on consoles has been a long one with mixed results, but it certainly illustrates that there is a market for it. Black Desert Online looks to continue this trend and provide a consistent experience across both PC and Xbox. The team in particular noted Xbox One X compatibility as a major factor in them bringing the game to the platform, as the extra power allowed them to manage the game’s systems at a more reasonable framerate. Overall, this port’s presence was not terribly exciting, but at least should allow existing BDO players more options on how they can play. Virgo Versus the Zodiac was a welcome presence on the show floor – a turn-based JRPG about mythology with some rather pleasant surprises. The battle system is reminiscent of Paper Mario, with timed button press prompts comprising much of the engagement factor in a fight, as well as some delightful Socialist overtones in the story, with the protagonist Virgo looking to overthrow the corporate greed of her peers. Such themes are more apt now than ever, and VVtZ looks to deliver a one-two punch between that and its solid gameplay inspirations. This is one to watch out for. Finally on our featured games list, we have Trailmakers, a vehicle-building game reminiscent of contemporaries such as Banjo-Kazooie: Nuts & Bolts and Beseiged. Trailmakers banks heavily on its aforementioned vehicle-creation system, hoping to make a tool that allows for radical experimentation within the game’s physics and world constraints. Sadly, while the tool’s open-ended construction system allows for a great deal of freedom, it does a poor job of teaching players the basics of making a functional vehicle. A booth representative acted as a tutorial without my request, while I just wanted to explore the game on my own terms. I have high hopes for Trailmakers, but it needs to implement better tutorial systems before it can meet them. 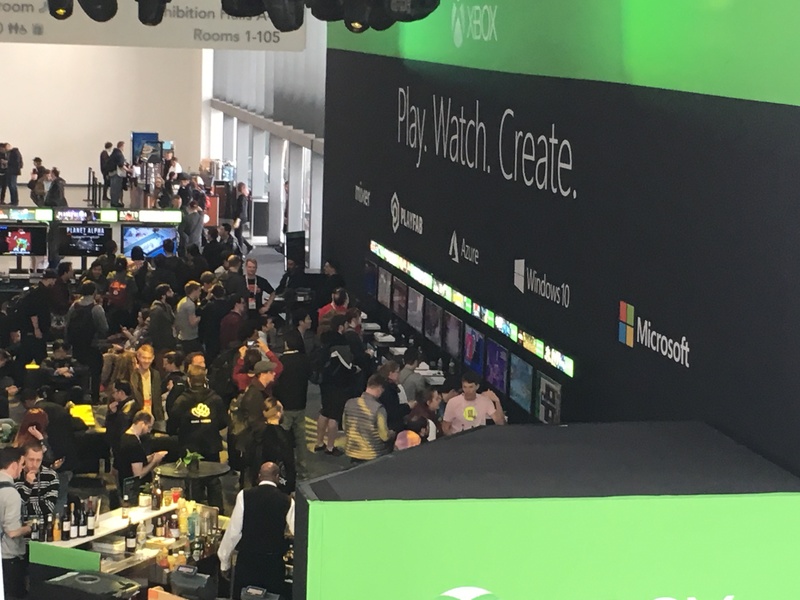 Microsoft’s GDC showing has certainly improved since last year, but they still have a long way to go before making the Xbox One be the go-to platform for independent developers. Courting them with hardware power doesn’t make much sense in the indie scene – a market full of games that lean more on aesthetic than technical overhead, but at least some developers seem to be finding uses for the Xbox One X’s muscle. Here’s hoping Microsoft can continue to make strides in areas of true significance to indies, such as licensing terms, hardware costs, and generous revenue splits.